Apple on Monday released a finalized version of Safari 4, which the company is billing as the "world's fastest and most innovative web browser." Starting with the development of the open source WebKit browser engine, Apple has been an industry leader in defining and implementing innovative web standards. Safari 4 includes HTML 5 support for offline technologies and support for advanced CSS Effects, enabling an entirely new class of web applications that feature rich media, graphics and fonts. —Cover Flow, to easily flip through web history or bookmarks. —Full Page Zoom, for a closer look at any website without degrading the quality of the site's layout and text. 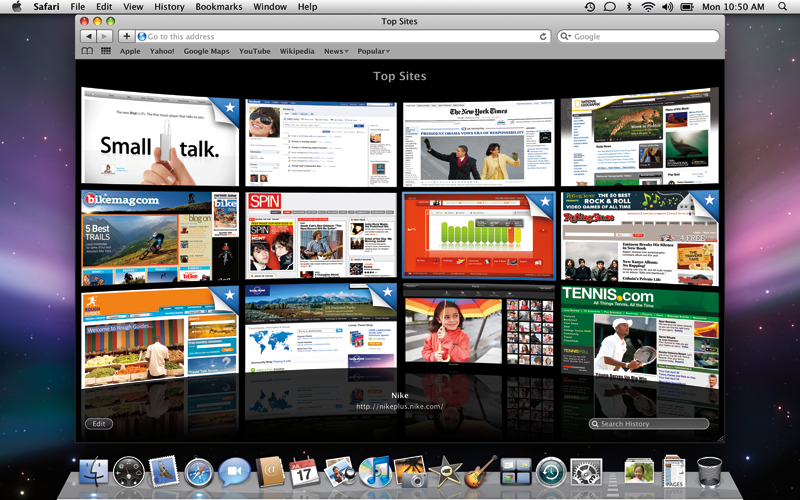 Safari 4 is available for both Mac OS X and Windows as a free download. 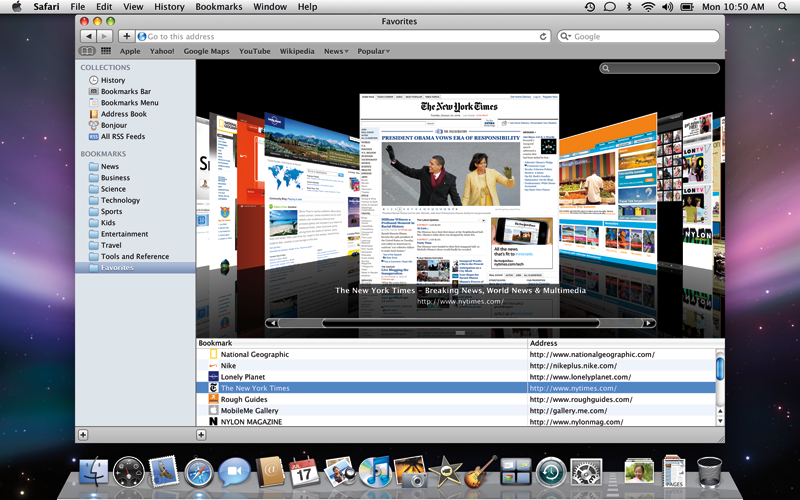 Safari 4 for Mac OS X requires Mac OS X Leopard v10.5.7 or Mac OS X Tiger v10.4.11 and Security Update 2009-002, a minimum 256MB of memory and is designed to run on any Intel-based Mac or a Mac with a PowerPC G5, G4 or G3 processor and built-in FireWire. Safari 4 for Windows requires Windows XP SP2 or Windows Vista, a minimum 256MB of memory and a system with at least a 500 MHz Intel Pentium processor.